Red Sonya and Alien Tom team up as “Red Alien” to remix Anthony Yarranton‘s track titled “White Gliders” released on Stripped Digital. 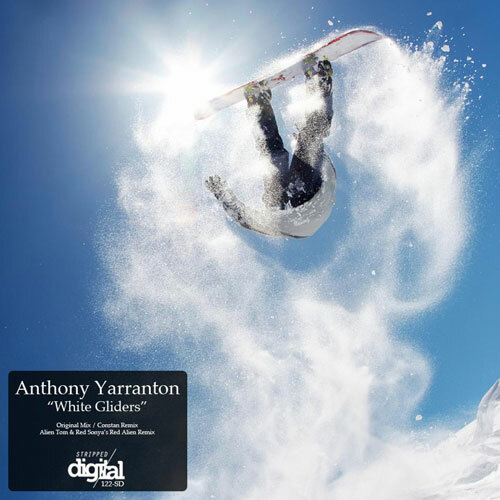 Londoner Anthony Yarranton makes his full debut for Stripped Digital after appearing in 2012 on the compilation “Swimming In A Digital Sea – Volume Two” album compiled by label boss Norman H. Here he brings us “White Gliders” featuring remixes from Constan from Mexico and LA based couple Alien Tom & Red Sonya. Purchase Red Alien’s remix of White Gliders on Beatport!